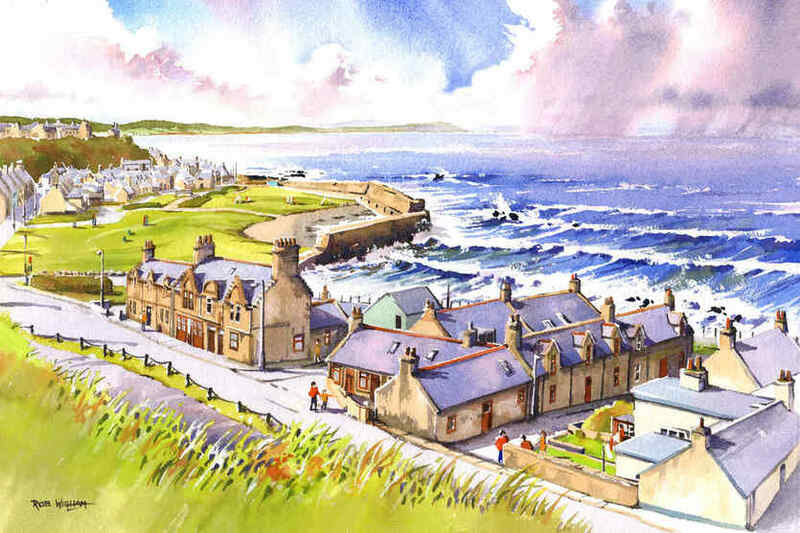 The yardie is a closely-spaced and hugely characterful area of old fisherman's houses right by the sea at Buckie on the Moray coast of northern Scotland.. The houses are predominately laid out end-on to the sea for protection from storms which can lash at this coastline. Here we're looking west, past the harbour park and Buckpool all the way to the distant headland of Lossiemouth. The harbour shown here silted up soon after its completion about 150 years ago and fishing activity moved to the bigger Cluny Harbour which is still in use today. The old harbour was fully filled in in the 1970s and is now a park.